Wall and floor chasing is used primarily to provide for pipes, conduits and trunking using a hand-held electric grinder with a diamond blade. Two slots are cut to a precise width and depth and the concrete is removed using a hammer drill or small breaker and these are formed to very precise widths and depths. These are perfect for numerous commercial, retail and industrial applications including factories, shops, offices, hotels and more. We have provided our chasing service to many large companies directly as well as being a dedicated contractor for medium to large construction companies. 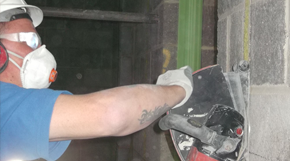 We can chase in all types of brickwork and block work including rendered and plastered surfaces, concrete and screeds. In addition, we can undertake the cutting of tuck-in for lead and asphalt. 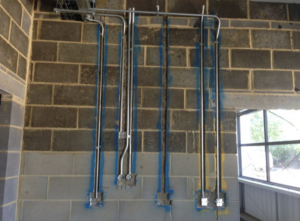 If required we have the facility to provide dust control which helps to cut precise neat channels in concrete of masonry structures that are occupied as it minimises dust and disruption for your business.